Any chance we will see the option to see all but one vendor? You all just added bricklink as a vendor. Right now in the US, there are 6852 Bricklink items for sale, and 3953 from other vendors. The bricklink sets however, very often are missing minifures, or are just a minifigure! It make the the Buy option much less convenient, as I now must check Amazon, Lego, Target, ChowrenToys, and Walmart all independently. Before, I had them all in the same window. The BrickLink data should only include new, sealed set and assuming you're in the USA it will only show items from sellers in the USA, of which there are 4521 at the moment. However, I take your point that they might be unwanted so I may provide the option you suggest in due course. Thanks Huw for the quick response. I do see 4521 Bricklink sets now. It looks to me like the difference in the 6852, and the 4521 sets, were the majority (if not all) of the partial sets. This is apparently part of a super set. So while it may seem like a good deal, it is certainly not. 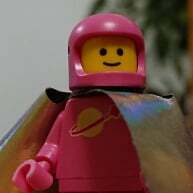 I've mentioned super sets to the BrickLInk team and I'm hopeful they'll remove them from the product feed. I really can't use this in the same way with brick link on there, it's much easier to compare normal retailers if it could be hidden. Is there any probability of BrickOwl sellers being included as well, like at Rebrickable? I hope a BrickOwl link is possible - I know it's not the cheapest across the board but it often is. Loving the new feature by the way, makes it much more efficient to check the cost of filling the gaps in my collection. So is it possible to add preferences to turn off all / some of the others too? I rarely want to see TRU or Smyths prices for example (not that they often rank highly in percentages). Not currently but it could be added easily enough.